Am I Eligible for Veteran’s Benefits? 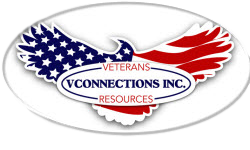 – VConnections, Inc.
With all the technology and information available, one would think that most Southern Maryland veterans, if not all, would know what type of benefits they qualify for and can possibly receive. Unfortunately, that’s not as easy as it sounds, and there could possibly be a few disconnects, starting with the veteran’s service records. When entering the military, one of the first things created is a service record. That record follows you throughout your military career. 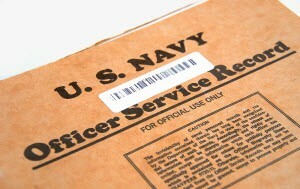 Upon discharge, those records are sent to the National Archives, and a copy of the records can be requested by the service member at anytime or by VA for a claim submission. As a Navy veteran, one of my many duties as a Personnel Specialist for 8 years was to prepare service records for transfer and discharges. So, based on firsthand experience, I had knowledge of what was included in a complete service record packet, prior to discharge. One of the most important documents in the service record is the DD-214, which provides a quick synopsis of the military time served. The DD-214 is the key to understanding if you are eligible to receive benefits. Veteran Affairs defines a veteran as “a person who served in the active military, naval, or air service, and who was discharged or released there from under conditions other than dishonorable.” As far as length of service, prior to September 8, 1980, there was no minimum length of service necessary to be considered a veteran for most VA benefits. However, for an individual who enlisted after September 8, 1980, there are now certain minimum lengths of service requirements. The general requirement is either 24 months of continuous active duty or the “full period” for which the service member was called or ordered to active duty. I could go on and on with more information on requirements and qualifications, but I won’t, because I would like for our Southern Maryland veterans to take responsibility for understanding how to get access to that information, and there are ways to do so. First, you can have VConnections to come out and do free workshops given by myself or one of my qualified VA representatives or I suggest you go to the eBenefits section of the VA’s website, register, and start to understand what you are eligible for. eBenefits is a portal; a central location for veterans, service members, and their families to research, find, access, and, in time, manage their benefits and personal information. eBenefits offers a personalized workspace called My Dashboard, which provides quick access to eBenefits tools. Using eBenefits tools, you can complete a variety of tasks including applying for benefits, downloading your DD 214, viewing your benefits status, and other actions as needed. This workspace is available to you once you have created an eBenefits account. Go to the website today to get started or contact me to schedule a free workshop session. I have a lot more great information and resources coming soon!